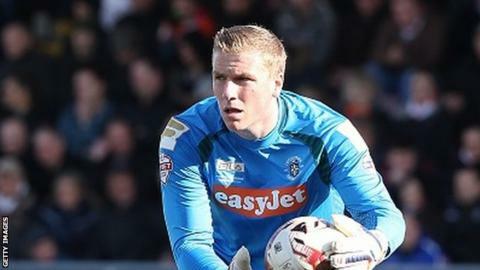 Luton Town goalkeeper Elliot Justham has signed a contract extension keeping him at Kenilworth Road until 2017. The 24-year-old has impressed since being given his Football League debut in the 3-2 defeat at AFC Wimbledon in February. Justham was signed in 2013 from non-league East Thurrock. He told the club's website: "The last two years have been a bit of a whirlwind and I've had to adapt being a professional footballer." Manager John Still said: "Elliot has come in and proven how good he is both on and off the pitch. He's showed us all why we brought him to this football club in the first place. "Mark Tyler might have been out injured but Elliot has grabbed his opportunity with both hands and hasn't looked back. It's great to be able to have two goalkeepers of their ability challenging for the number one spot."